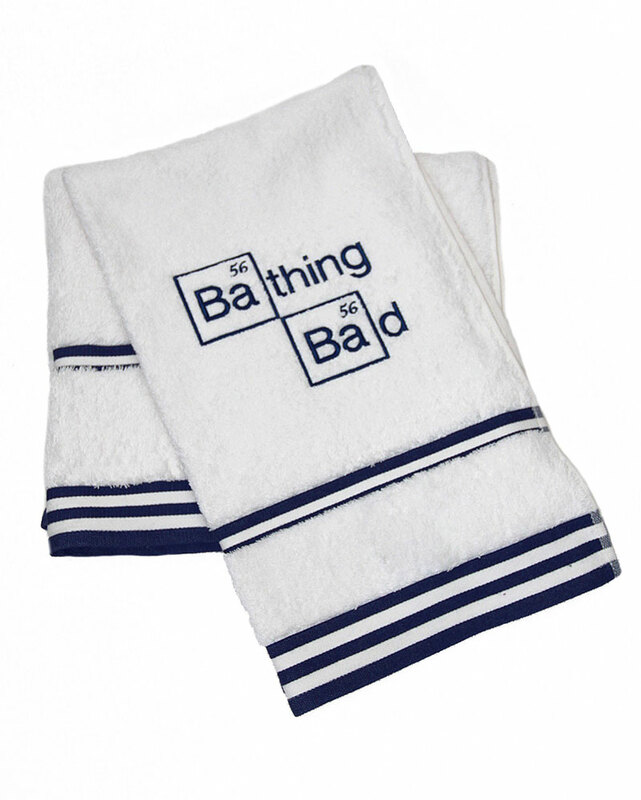 Great gift idea for fans of Breaking Bad, one of TV's biggest hit shows. 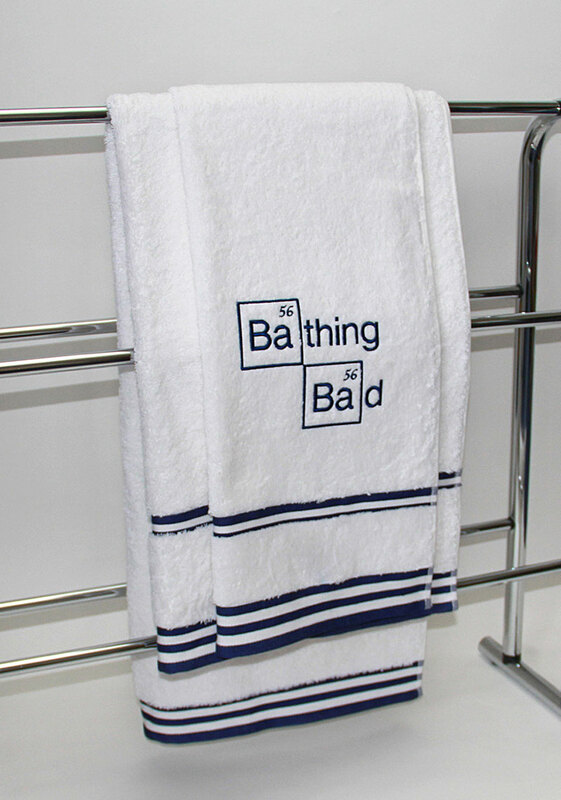 The Bathing Bad design is embroidered to both towels, and is included in the price. All of our items are embroidered in house using the latest technology. Please allow 5 working days for dispatch. Standard delivery will be sent second class post, express delivery will be dispatch with 24 hour courier.